Hello Friends!! 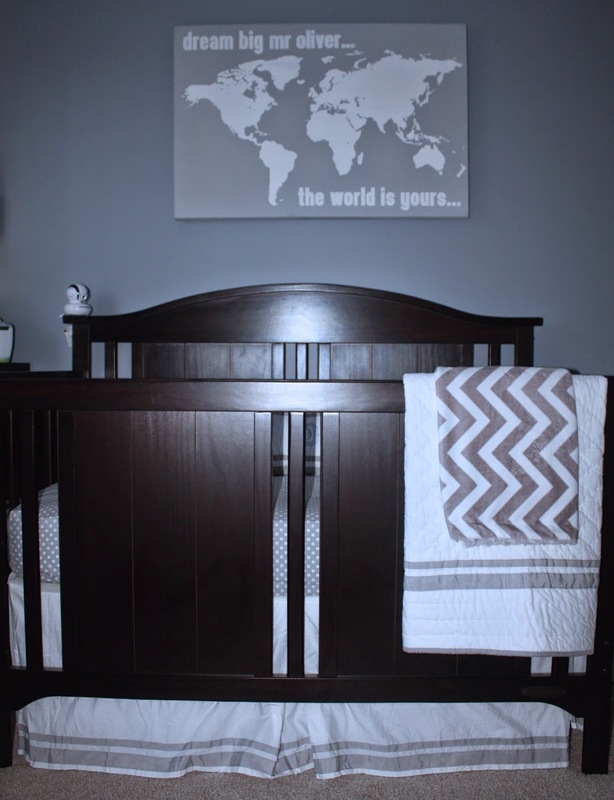 It's about time I showed you Austin's "Around the World" Nursery! I adore his nursery and I hope you do too. A lot of the artwork in Austin's nursery came from the amazing baby shower that was thrown for us, you can see that here! My best friend, mother-in-law and sister-in-law know my taste so well that all the baby shower decor fit perfectly in the nursery. My best friend Cheryl bought this for Austin from Potterybarn kids before the name "Austin" was determined, so she went with "Mr. Oliver," which I really love! We bought all the nursery furniture from Costco and love it. It's a three piece convertible crib set made of solid wood with a non-toxic, baby safe finish. All of our linen is from Potterybarn Kids. 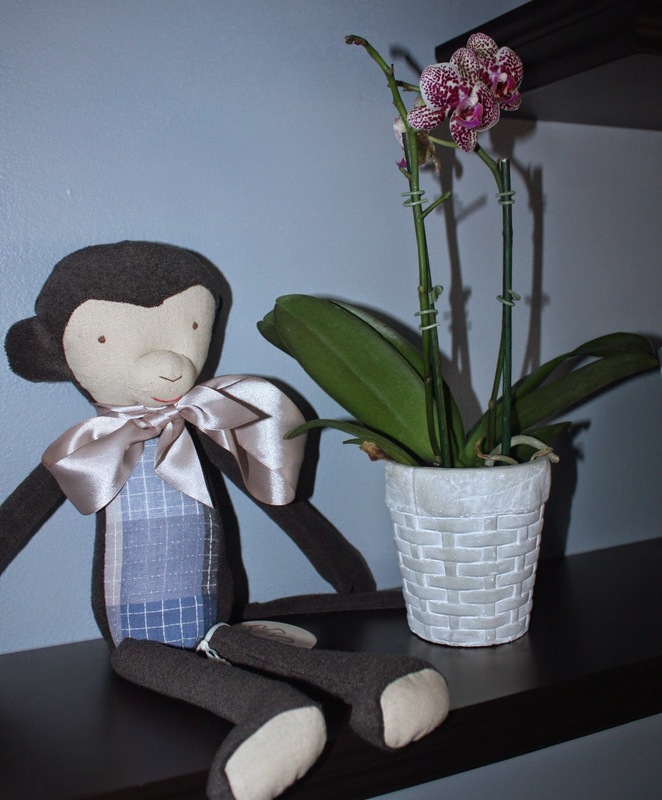 The little monkey was a gift from Auntie Megan and in my opinion every room needs an orchid and the nursery was no exception! My little traveler is ready to see the world. The hot air balloon artwork on the right is one of favorite pieces in the nursery. It was made by a couple of my closest friends and Austin loves to look at it while he is getting changed. 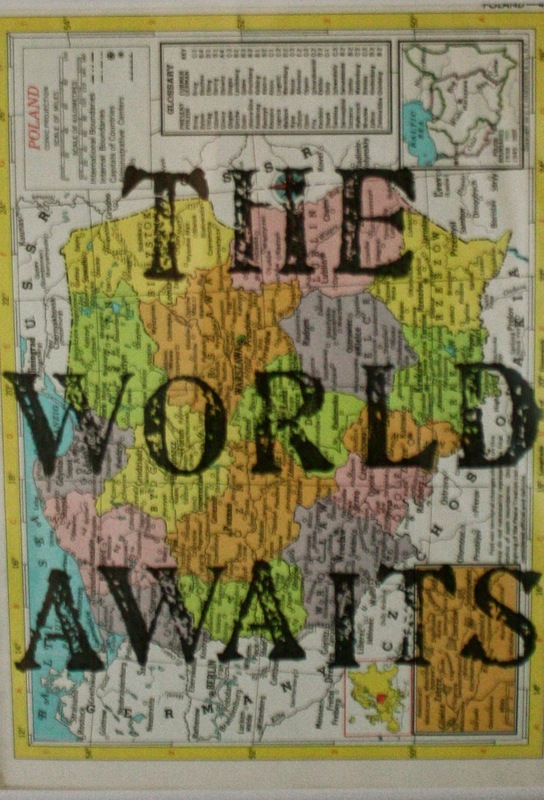 There were mini globes at the baby shower that we used to make a mobile in the middle of the room. We get a lot of use out of our rocking chair and ottoman from Potterybarn kids. The ladies requested that everyone bring a signed book instead of a card to the baby shower. 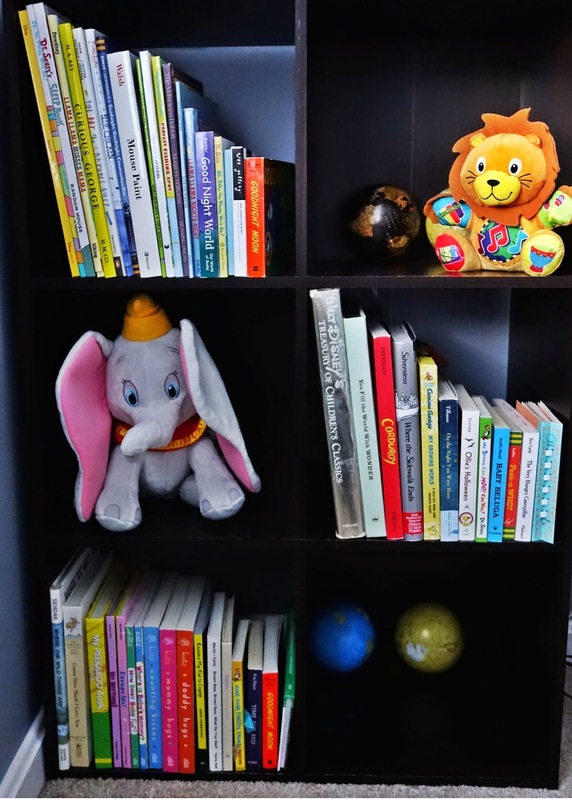 We have such a great little book collection started because of it and all the books are extra special because they have little notes to baby Austin inside. Tweet Visit Dana Oliver's profile on Pinterest.